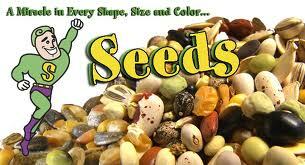 Seeds are filled with high concentrations of vitamins, minerals, proteins, essential oils and dormant enzymes. The best way to eat seeds to acquire its full nutrition is to eat them raw. Once they are exposed to heat, they produce toxic substances and the vitamin, mineral and essential oil profiles become structurally changed. By roasting a seed, its classification moves from a living food to a dead food. There is no seed on earth that can withstand roasting or heating without breaking down its nutritional components. Always eat seeds naturally…eat them raw. It is okay for seeds to be soaked, ground or mashed (i.e. tahini), especially if a seed’s shell or coat is too difficult to pierce with the teeth. The seeds are loaded with vitamins and minerals, are an excellent source of fiber, protein and antioxidants, and are the richest plant source of omega-3 fatty acids. Consumption of chia seeds could help reduce joint pain, aid in weight loss, deliver an energy boost and protect against serious ailments such as diabetes and heart disease. The seeds are gluten-free, which also makes them appealing to people with celiac disease or an aversion to gluten. Chia Seeds have been associated with heart and liver protection due to its alpha-linolenic acid (ALA). IT is definitely considered to be a superfood. Strengthens immunity and fends off toxins. Excellent for cardiovascular health and general strengthening of the immune system. Eating hemp seeds gives the body all the essential amino acids required to maintain health, and provides the necessary kinds and amounts of amino acids the body needs to make human serum albumin and serum globulins like the immune enhancing gamma globulins. Eating hemp seeds could aid, if not heal, people suffering from immune deficiency diseases. This conclusion is supported by the fact that hemp seed was used to treat nutritional deficiencies brought on by tuberculosis, a severe nutrition blocking disease that causes the body to waste away. Pomegranates are a rich source of antioxidants. Therefore, it helps to protect your body’s cells from free radicals, which cause premature aging. In simple words, pomegranate juice pumps the level of oxygen in your blood. The antioxidants fight free radicals and prevents blood clots. This eventually helps the blood to flow freely in your body in turn improving the oxygen levels in your blood. Pomegranates are especially high in polyphenols, a form of antioxidant purported to help reduce the risk of cancer and heart disease. In fact, pomegranate juice has higher antioxidant activity than green tea and red wine. The pomegranate, with its edible seeds inside juicy sacs, is high in vitamin C and potassium, low in calories and a good source of fiber. Pomegranates prevent the hardening of the artery walls with excess fat, leaving your arteries fat free and pumping with antioxidants. Pomegranates can also reduce the damage on the cartilage for those with arthritis. This fruit has the ability to lessen the inflammation and fights the enzymes that destroy the cartilage. Dietary fiber from flaxseed suppresses rises in blood levels of lipids after a meal and suppresses appetite. The main health benefits of flax seed are due to its rich content of Alpha-Linolenic Acid (ALA), dietary fiber, and lignans and has been known to block tumor growth in animals and may help to reduce cancer risks in humans. Pumpkin seeds are the only seed that is alkaline-forming. Pumpkin seeds are a good source for vitamin B like thiamin, riboflavin, niacin, pantothenic acid, vitamin B-6 and folates. Pumpkin seeds can help fight depression. The chemical component L-tryptophan is the secret ingredient to boost your mood. Pumpkin seeds can help prevent certain kidney stone formations like calcium oxalate kidney stone. Apart from apricot kernels, examples of other amygdalin rich foods are bitter almonds (amygdalin tastes bitter – sweet almonds do not contain it, and apricot kernels that are not bitter do not contain it). Other foods containing amygdalin are apple pips, grape seeds, millet, broad beans, most berries, cassava and many other seeds, beans, pulses and grains, but not ones that have been highly hybridized. Sesame seeds a very good source of manganese and copper, calcium, magnesium, iron, phosphorus, vitamin B1, zinc and dietary fiber. Sesame seeds also contain two unique substances: sesamin and sesamolin. Both of these substances belong to a group of special beneficial fibers called lignans, and have been shown to have a cholesterol-lowering effect in humans, and to prevent high blood pressure and increase vitamin E supplies in animals. Cumin also helps relieve symptoms of common cold. If you have a sore throat, try adding some dry ginger to cumin water, to help soothe it. Cumin juice makes for a great tonic for the body even if you don’t have a specific ailment. It is said to increase the heat in the body thus making metabolism more efficient. Grape seed extract may prevent heart diseases by inhibiting platelet aggregation and reducing inflammation. Grape seeds can also reduce high blood pressure and high cholesterol.